You might feel that this is a Middle Eastern version of the Desperate Housewives, and in a sense it is. And that makes Desperate in Dubai interesting. Just like their American counterparts, the actors depicted here are caricatures of some very real segments of the UAE population. Take a peek into the intimate lives of a variety of women living in the Emirates. 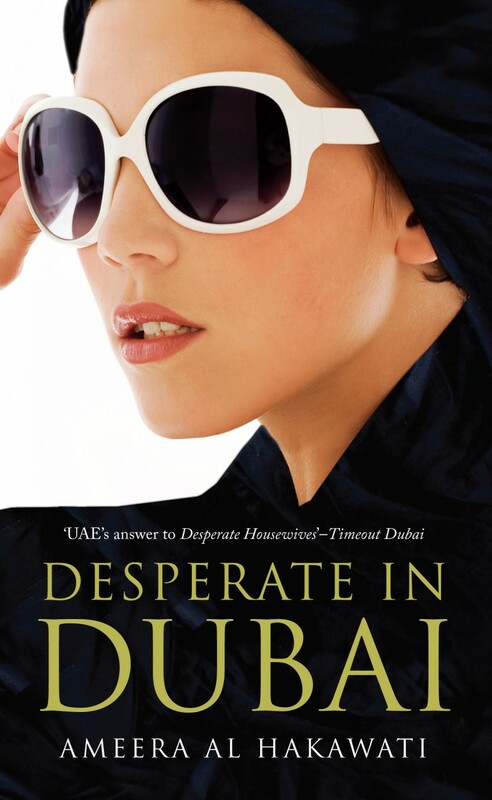 No housewives here, just young women who – for a different reasons – cross paths in Dubai. There’s an Emirati woman from a wealthy background who wants to live her life freely, torn between her family’s traditional expectations and modern Western values. Meet a Lebanese woman who came to Dubai in search of a rich husband, and a British-born Indian woman who left London to distance herself from her past. Finally, there is a Moroccan woman who followed a common Gulf expat experience, trailing her husband when he was sent to Dubai for work. Ameera al Hakawati is not her real name. The author is half Emirati, half British and knows UAE society quite well. She took her inspiration from real life characters: friends, friends of friends, and acquaintances and chose to write under a pseudonym to “safeguard” her family. Freedom of press is dubious in much of the Middle East, and she confirms that she did experience some censorship. Prior to the release of the book, her blog was blocked several times. Once published, the book was removed from shop shelves the very next day, apparently by order of the Ministry of Interior. Things must have been eventually smoothed out, because I bought my copy in Dubai. If you want to know more about her, check out this interesting interview with her on kyradubai.overblog.com where she talks about the place of women in the Middle East as compared to Western society. This book is not very sophisticated literature. But it’s the first time that someone allows us backstage into the life of Emirati women and it’s an interesting experience. It takes you beyond the bling of Dubai, and doesn’t shy away from some themes that might upset. I suggest this book as perfect reading for your plane-ride to Dubai. Easy.quick to read.nd a bit educating at the same time. See it as a fun, sociological dive into Dubai society, as it showcases the melting pot Dubai really is, exposed to a globalized world, triggering culture and values clashes. Park your guilt for not reading the last business book. Your brain sometimes deserves a rest from more intellectual readings anyway! One regret: it could have been slightly shorter.